It’s hard to do no evil when you work with the Chinese regime. Western corporations never die in China, they just fade away. They don’t do what Google has threatened to do: Slam the door on its way out. Google’s decision to stop censoring its Chinese search engine—announced on the company’s blog on January 12 and thus guaranteed to annoy the propriety-obsessed Chinese leadership—may have only minor technical impact on Chinese users. Yet it’s a bellwether, revealing the true direction and the inherent fragility of the Chinese Internet. Of all the post-Tiananmen dreams of Chinese liberation, the Chinese Internet has always been the most enticing. In the early 1990s, a frontal attack on the Communist party’s hold on the Chinese state appeared impossible, and dissident attention shifted to a very different strategy opened up by Deng Xiaoping’s reaffirmation of the reformist economic agenda during his 1992 Southern Tour. A great wave of entrepreneurial activity, technology, and commercialism, it was hoped, would simply sweep away the rotting system. Thus the so-called “New Economy”—fueled by the infusion of Western capital—and the growth of the Internet at the end of the 1990s seemed an answer to a dissident prayer, offering a sort of technological end run around the party system. A decade ago, the Chinese Internet was small, but it was also in a state of nature. The party blocked websites, but it was a clumsy, labor-intensive affair and easily circumvented. Dissident messages were considered moderately “safe for work.” Rumors, critiques of the party, gossip—often from a nationalist or a labor perspective—would continually flare up on my Chinese coworkers’ screens. Internet cafés—the cheap ones, the ones that didn’t serve lattes—were packed tight with computers and young Chinese. They sprung up in the Beijing alleyways, the hutongs, like crack-houses in an American ghetto, cheek by jowl with the open-air toilets. Perhaps because of the hopefulness of this fleeting moment when China was simply hustling to get on the scoreboard, Western cyber-utopians have never understood the party’s Internet objectives. The party had no interest in total control—in “nailing Jell-O to the wall,” as Bill Clinton called it back in 2000. Instead, the party saw the Internet as a way to mobilize Chinese nationalism and prosperity. And they noticed something else, something that was just a gleam in the eye of Google’s founders: The Internet is far more revealing of who its users actually are than any mass communication technology that the world had heretofore seen. And that information is readily available. The Internet meant that a bunch of autocrats who didn’t get out much could respond to the Chinese grass roots. They could encourage students to blow off steam by chucking bricks at the U.S. or Japanese embassies. They could judge precisely when the tainted milk powder scandal reached critical mass and it was time to execute a local official or two. With a few prolific trolls, they could push web discussions where they wanted them to go, crushing complaint and clearing the intellectual ground as far as the eye could see. The Chinese leadership could suddenly observe dissent like a bacteria growing in a controlled lab. They could offer it nourishment, creating platforms and spaces to breed, and then pour acid on the entire experiment. The Communist leadership had learned something from the close call of Tiananmen: Don’t put your faith in the big battalions because they can flip-flop. Diversify. Fill Beijing with small military units and enough will stay loyal, and make sure the avenues can sustain the weight of armored vehicles as they rush to the center. So, they decided, let the Internet service providers proliferate. Let the Westerners in. But make sure the main Internet corridors are patrolled by the party. The party needed a way to attach the individual surfer’s online presence to other communications and, ultimately, to their danwei—the work unit holding their employment and political history file. Cisco proposed that identity searches could employ the one thing that everyone in China would soon have—a cell phone. By tying voice patterns to surfing patterns and then to the danwei, and making that file accessible to local police, the courts, and the Public Security Bureau, you could have a paperless legal system—just a couple of clicks separating the man in the street from the labor camp. Thus surveillance, supplied by Cisco and Nortel and, in the early days, Sun Micro, became the outfield—and these companies were the MVPs of Golden Shield. On occasion, players didn’t cooperate. Microsoft resisted handing over its encryption source codes in 2000, even building an industry coalition in Beijing with tacit support from the Commerce Department. It was a brief shining moment but the company quietly relented a few years later. After handing over the emails of Chinese journalist Shi Tao and others (Shi got ten years in prison), Yahoo was sued by human rights groups, earned the contempt of Chinese citizens, and sputtered its way through a congressional hearing. But it was sputtering financially as well and eventually sold most of its China business to the goliath Alibaba.com in late 2005. Enter Google. With its arrival in China in January 2006, the party appeared to have realized its third goal, after censorship and surveillance: legitimacy. Like most things in China, this involved a degree of doublethink. On the one hand, the Chinese Internet now looked normal—by allowing the term “Googled,” the party had given a sop to the Chinese intelligentsia in any conversation with their foreign colleagues. On the other hand, Google agreed to censor their search results so that the wordsTiananmen Square brought up images of government officials and American tourists taking a languid stroll at sunset, and the words Falun Gong only produced obscene, cackling government attack sites. Google insisted on a results disclaimer, but the Chinese audience got the message: Google was happy to play shortstop for the party. Google justified this transgression of its “don’t be evil” corporate philosophy with the usual just-arrived-in-China pabulum: The censorship is probably temporary (give them enough rope, as Marx said), better to engage China than to boycott it, and, anyway, the country is changing. Indeed it is, but it is not heading in the direction that Google hoped. The first portent was the Beijing Olympics. Under the pretext of “security,” practically every expat in China, no matter how long-term, settled, or “indispensable” from a business standpoint was suddenly informed that he had to leave China well before the “One World, One Dream” festivities and stay out for a while. This came at a time when the Chinese were backsliding on government regulations, preferential treatment for Chinese companies, and intellectual property rights. Far from opening to the world, China was closing the door. The actual slam occurred shortly afterwards: The party dabbled with requiring the installation of “Green Dam” software (having ripped off the code from Cyber-Sitter, a California company) on all PCs. Then Facebook, YouTube, and Twitter were blocked. Why was the party tossing away its hard-won normalcy? In part, because it was facing an unprecedented external challenge from a suburban home in North Carolina. In the living room sat a couple of Chinese Falun Gong practitioners whose engineering training dated back to the early days of the Chinese web. Because the Chinese Internet was constructed like a company barracks, in orderly blocks, the Falun Gong engineers, by looking at a seemingly meaningless series of numbers, could tell with reasonable certainty if an address was state-connected. With this knowledge and their hacking skills, they could track state security behavior. Eventually they discerned patterns and corners where the dogs gave only a cursory sniff. They built special programs simulating those corners, but with hairline cracks in the firewalls, and then used those cracks to send loads of uncensored news, the “Nine Commentaries” (Falun Gong’s ur-condemnation of the party), and instructions for Chinese users to set up their own wormholes. It was a dynamic process. Bill Xia, the public face of the engineers, remembers waking up one morning to find that the party censors had disabled the system. He corrected it. Ten minutes later, it was down again. And so it went for months, like salvos between the trenches, with activity falling into a lull over the Chinese Spring Festival, then starting up again after the party guys got back to the office. The Falun Gong engineers introduced new weapons: spam attacks on a vast scale, dummy websites that would proliferate automatically, and evolutionary algorithms that could change Internet addresses many times within a single second yet somehow bookmark normally. These caused havoc for the party censors—entire Chinese government news sites were blocked by accident, days where the entire Chinese Internet slowed to a crawl with incalculable losses to Chinese ecommerce. The engineers soon gathered diverse reinforcements: Ultrareach, Freenet, and the other dissident systems that today make up the Global Internet Freedom Consortium (GIF). The consortium became a lifeline for the underground network of Chinese activists and a conduit for uncensored information, metastasizing from the Chinese Internet into printouts and pamphlets dropped off on doorsteps across the villages of China—usually in the dead of night. Yet we have to measure these achievements against the impressive successes on the party side. The Chinese Internet has seen spectacular growth. It looks real. Blogging flourishes. News circulates, some of it from party-sympathetic Western reporters and Phoenix TV. In most countries, the revelation of shoddily constructed schoolhouses in an earthquake zone would have brought the government down. In China, reporters were so gratified to be given a free hand to report on dramatic rescues in Sichuan for two weeks that when they were told to clear out and ignore the wailing parents, they actually obeyed and dropped the story. Internet discussion boards appear free and unfettered (though the inevitable patriot comments are reputedly paid at .50 cents an entry). But that’s the point. This is the real “new economy,” where the party has turned censorship and surveillance into a viable economic model. So why would Google leave? It isn’t hemorrhaging money; sources might differ about Google’s market share (likely between 15 and 30 percent), but there is no question that it has made inroads against Baidu.com, the Chinese search engine. In any case, the former head of Yahoo China told me that Yahoo always played down its actual numbers to avoid the Chinese government’s wrath. When Google announced its decision to stop censoring its Chinese search engine, it cited unauthorized access to the gmail accounts of 20 Chinese human rights activists. Yet the hacker angle looks more like a defense against a Yahoo-style lawsuit than a reason to leave. Given Hillary Clinton’s recent remarks on global Internet freedom, the administration may be angling for an arms control-style agreement with the Chinese leadership on global cyber security. But, quite frankly, if you do business in China, hacking is to be expected. My assumption is that every keystroke I (or any other human rights advocate) types eventually makes its way back to the Public Security Bureau. Google’s internal shakeups suggest the possibility of an inside job—hardly surprising when party members saturate your hiring base. And that sort of perfidy does tend to drive expat managers bananas. But the hacking accusations were just as likely a way to enlist the protective wing of the State Department. Which leaves: Don’t be evil. The party has been fighting GIF for some time, but was only partially confident that it could stop the penetration. Ergo the closing of the social networking sites where uncensored news could go viral. But it was never about preventing people from looking at CNN or preventing the occasional Hu Jintao crack or cartoon, as President Obama seemed to interpret a question on web freedom during his recent trip to China. There are far greater skeletons to hide: live organ harvesting of political and religious prisoners, for example. My research indicates that the practice is far more widespread than previously understood, extending beyond Falun Gong to Christians, Uighurs, and even Tibetan prisoners of conscience. 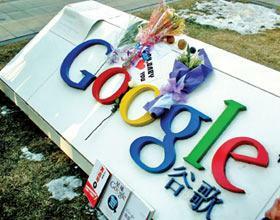 When Google made its decision to leave China, it was making a decision to leave something behind. I don’t mean a bad business environment, but an evil one. We may never know the full story of Google’s departure, but we do know that China is not Iran, where the regime does not even bother with the illusion of a free Internet. In China, the entire country craves tokens of normalcy so deeply that people will nurture a delusion. Given the flowers spontaneously strewn across the Google headquarters sign in Beijing by ordinary Chinese, the party may have just lost the People’s Browser.